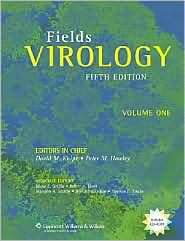 FIELDS VIROLOGY This title has been archived. Established for 20 years as the definitive virology reference, the two-volume classic Fields Virology is in its thoroughly revised, updated Fifth Edition. More than 100 world-renowned investigators provide encyclopedic coverage of every aspect of contemporary virology, including the pathogenesis of viral diseases and the molecular biology, replication, and clinical significance of all known virus families.